Have you ever succumbed to the incredible urge to purchase all the gorgeous lace weight colorways in the local yarn store and come to your senses two days later? I certainly have, and after realizing that I will never knit that gorgeous yarn into anything because, well, it’s lace weight, I decided to do something about it. 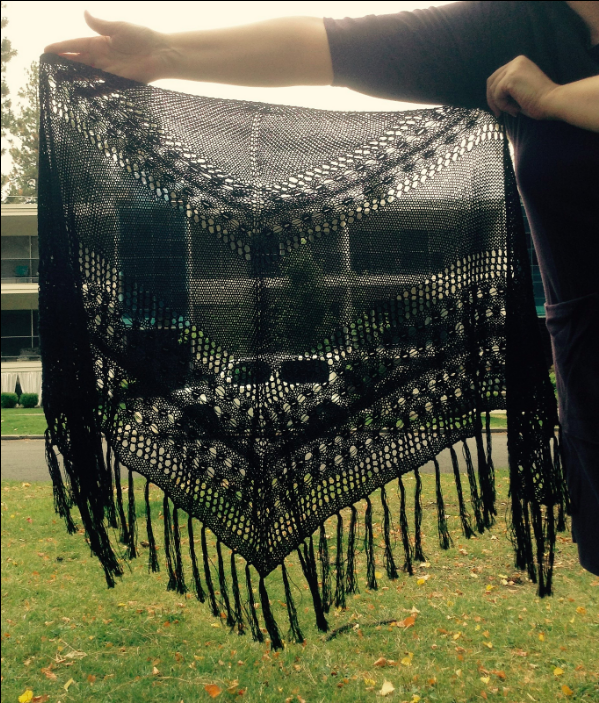 “Fog: a shawl recipe” was designed with those impulse buy, hand-painted, lace weight, forever in your stash, squishy, gorgeous skeins in mind. 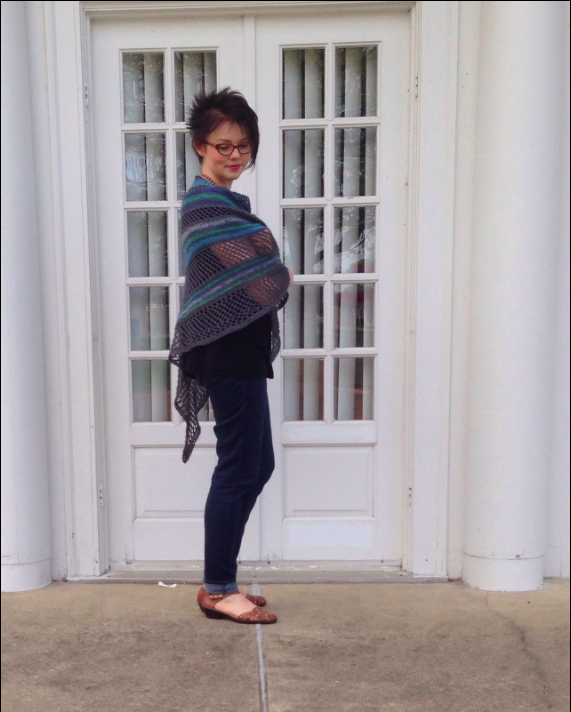 Finally, a pattern to justify the the irresistible call of indulgence which will produce a wearable handknit shawl, no matter your attention span! This recipe will guide you in creating a spectacular and wearable finished creation, even if you’re dealing with brain fog. Knit until you’ve hit a good stopping point in the color changes, knit until you get bored with the current section, knit until you get a whim to switch. There is no right or wrong here, just what makes your crafting heart sing. My guidelines are simply suggestions. If anything is vital to the end result of the pattern, it’ll be emphasized. This recipe assumes basic knowledge such as what a garter ridge is, how to pick up stitches, etc.